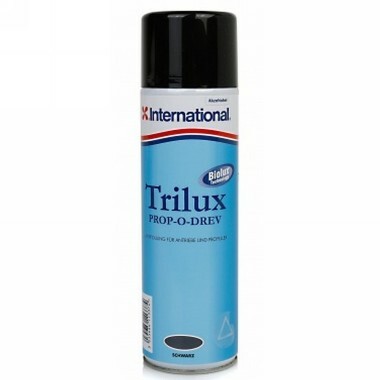 International VC Prop-O-Drev Primer is specially formulated for use with International Prop-O-Drev on outdrives, outboard legs, propellers and sterngear. It offers excellent adhesion to properly prepared metal and factory enamelled surfaced. The aerosol container ensures easy application of the primer to awkward areas. Coverage: 1 m square per 300 ml can.